Hollywood stretches across the bottom. The tall buildings to the upper left are Century City. 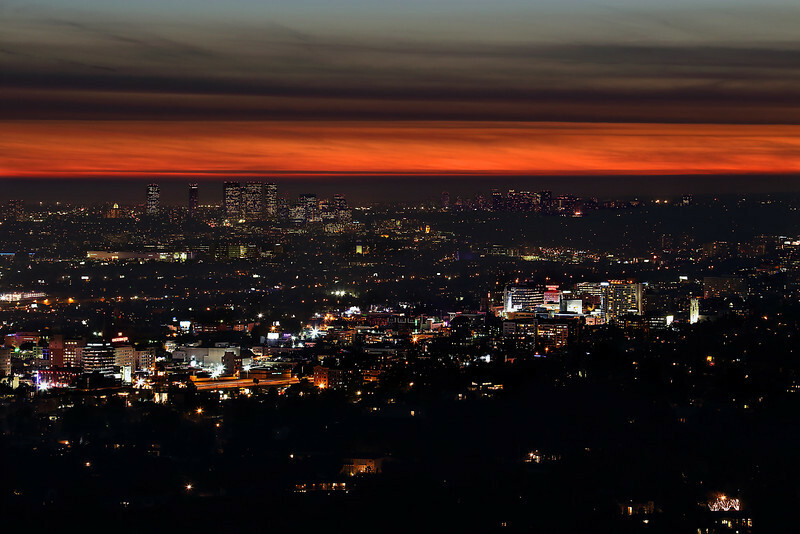 West Hollywood and Beverly Hills are between the two. The small clump of tall buildings to the right are in Santa Monica.